Hong Kong-based tech conference RISE will take place in Hong Kong this 9-12 July starring speakers from the world’s biggest companies and most exciting startups. The event will see more than 350 speakers scheduled to share their key insights on the next unicorn, virtual humans and other innovation-centric topics. Additionally, they will be joined by global media practitioners, hundreds of investors and 15,000 attendees for 3 days of legendary networking. 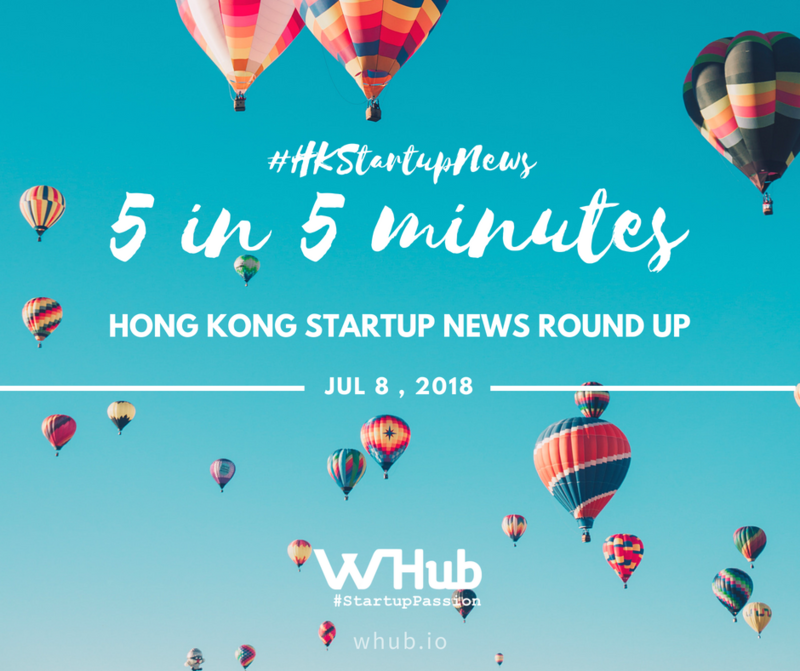 Speakers include the likes of Sean Rad, Founder, Tinder; Bob Zhang, CTO, Didi Chuxing; and Carrie Lam, the Chief Executive of the Hong Kong government. RISE is truly a world-class event for startups, big corporations, media and tech enthusiasts and WHub will be following RISE closely to make sure you find out about the must-go events and informed about the key highlights of the day. Make sure to follow WHub on Twitter: https://twitter.com/whub_io and follow WHub's blog: https://whub.io/blog to receive the behind-the-scenes, latest Intel and insider information! Neat, a Hong Kong-based digital alternative to a traditional bank, announced a USD 2 Million funding round from Singapore-based investor Dymon Asia Ventures, and Portag3 Ventures based in Montreal – the latter making its first investment in Asia. Neat also announced the full launch of its ‘Neat Business’ product, an alternative to a traditional corporate bank account for entrepreneurs, startups and corporates who need a current account for their business that is dynamic and easy to use. Following a successful beta period of Neat Business, Neat will use the new capital injection to focus on enhanced customer onboarding, new product features and attracting talent to the team. Neat already has customers in more than 100 countries with a new business signing up every 20 minutes. Neat’s customers include online digital businesses in the IT, e-commerce and consulting industries. Campfire, a HK-based collaborative space, announced Series-A investment reached USD18million, led by Kwai Hung Group, Sa Sa Int'l Holdings Ltd and Fast Global Holdings Ltd, a subsidiary of Rykadan Capital Ltd. The first round also received significant support from notable investors such as Ring Capital Ltd and Potent Assets Ltd.
Campfire's robust pipeline includes further expansion into global gateway cities including Tokyo, Osaka, Bangkok and Brisbane, curating industry-focused events, services, facilities and experiences with community members. Hong Kong based AI unicorn Sensetime has signed has signed agreements with three Singapore organizations to collaborate on AI research and develop AI-based solutions for industrial and institutional needs. SenseTime is establishing a footprint in Singapore due to the market's strong commitment to advancing AI research and applications, according to SenseTime Singapore managing director Martin Huang. In June 2016, the company completed a $100-million Series D funding led by the China Mobile Innovation Industry Fund, reaching a stunning valuation of $1 billion. It plans to use around 40 percent of the IPO proceeds to enhance its research and development capabilities, improve existing matching algorithms and develop AI-empowered voice and facial recognition technologies. Liepin.com envisions a future where robots interview potential job candidates. Liepin is the largest online talent services platform targeting high-end talents in China with a database of 38.9 million professionals, 248,600 companies and 101,840 certified headhunters.